With only three weeks left in next year’s CES, we’re getting more and more updates about devices expected next year. Today we saw two Samsung device get a CES ’15 launch date, the Samsung Galaxy S6 and the more hyped about, Edge variant of the Galaxy S6, the Samsung Galaxy S6 Edge. But that’s Samsung. More reports about the Consumer Electronics Show are surfacing, and this time they’re about Sony’s expected portfolio for the upcoming year. Sony Xperia Z4 Ultra And Z4 Compact Delayed – Not Seeing A CES Launch. Sony fans anticipating a larger screened Xperia phablet and/or the usual Compact model that also accompanies an Xperia flaghsip are in for some bad news today. It looks like both the devices will not be launched at the CES, and the reason is one that has been expected for quite a while. Looks like Qualcomm’s Snapdragon 810 woes are true, and they’re going to be a thorn in Sony’s side next year as well. But that’s enough of the bad news. Word has also surfaced on the specifications of the Xperia Z4 Ultra and the Z4 Compact, and we’re seeing little changes from what we previously reported. The Xperia Z4 Ultra will be coming with Quad HD resolution (2560 x 1440), a 16 MP rear camera, the Snapdragon 810, 3 GB RAM and a screen size of 6.44 inches with a battery between 3500 – 4000 mAh. The design of the Xperia Z4 Ultra will remain similar to the Xperia Z3 and looks like the device will be targeting Samsung’s Galaxy Note 4, since it is now expected to come with a specially designed stylus alongside. Sony must really be confident in the Xperia Z3’s design if its choosing to stick to it for its first phablet in the Xperia Z series. 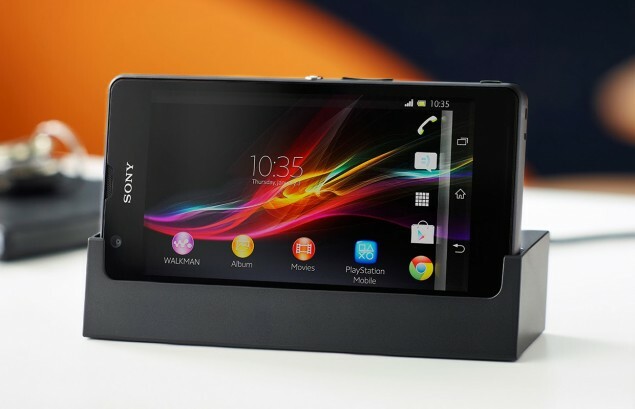 Coming towards the Xperia Z4 Compact, the device is expected to get a similar Snapdragon 810 on board as the Xperia Z4 ultra. RAM will also be 3 GB on the device, with internal storage being 32 GB. Front and rear camera resolutions remain the same at 5 and 20.7 MP respectively. There have been updates about the surround speakers the Japanese manufacturer intends to equip its device with, as it seems that the Xperia Z4 Compact will be getting a S-Master HX digital amplifier as well. This will be coupled with a 4.7 inch Full HD screen and a 3000 mAh battery. Sounds good so far. We’ll keep you updated.